Ever wanted to watch and listen to your favorite movies or music on your Nintendo DS? 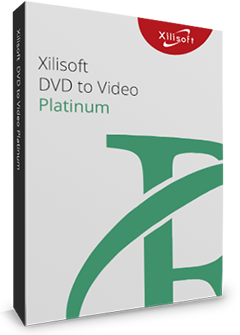 Xilisoft DPG Converter is the right solution to decode videos for Nintendo DS users. Convert your favorite audio and video files to play with your Nintendo DS. Convert almost all popular audio and video formats LIKE AVI, MPEG, H.264/AVC, 3GP, WMV, MP4, DivX, MOV, RM, WMA, WAV, AAC, OGG, etc to DPG/DPG2/DPG3/DPG4 video or MP3/MP2 audio with Xilisoft DPG Converter. Additional features such as adjustable FPS (frames-per-second) and bit rate, for smoother and clearer videos on your DS! Convert common and HD/3D videos in 160+ formats. Merge, clip, split, add video effects, watermark, subtitle, soundtrack, etc to better enjoy it. Convert video files with formats in AVI, MPEG, H.264/AVC, 3GP, VOB, DAT, WMV, MP4, DivX, MOV, RM, and ASF to play on Nintendo DS (DPG/DPG2/DPG3/DPG4) format. Extract dialogue or background music from video files and convert to MP3/MP2 audio file and convert audios like WMA, WAV, M4A, AAC, AC3, OGG, CUE, APE, CDA to MP3/MP2 compatible to play with Nintendo DS. It converts animation file to DPG video while still preserving the high quality FPS for smooth playback on your Nintendo DS. Converting on dual-core or multi-core support means high speed conversion while maintaining the high audio and video quality. 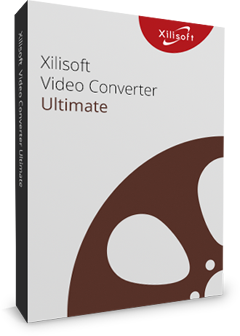 No need to install other programs for conversion, Xilisoft DPG Converter does all DPG-related conversion. FPS (frames per second), bit rate and other parameters are adjustable to make your video and audio files play smoothly and clearly after DPG-conversion. Compress a large file into a smaller one so you can fit them on your DS; calculate the output file size even before conversion with the bit rate calculator. Specify a certain segment to convert by setting the start time and duration of the clip. To save time, convert in batches or in multiple files at the same time. It is also possible to set different profiles like FPS and bit rate for each output file. Output parameters are classified and can be adjusted freely: video codec, video size, bit rate, frame rate, audio codec, channels, etc. Preview video before conversion with the built-in resizable player (supports 4:3 and 16:9 zoom mode) and snap the screens you love. Load as many files as you wish and convert them all at the same time. Run the software in the background while you do other things on your computer to multitask and save time. Allows you to manage your system power in this DPG converter. Set an action to do: hibernate, shut down, exit or standby after a conversion is done to avoid waiting. Different interface languages to choose from: German, Chinese, English, Japanese, French and Spanish.